We asked two professional welders – Meyer’s Jukka Hahko and Dinolift’s Pasi Laakso – what good usability means in industrial welding. Now 55 years old, Jukka Hahko began by welding his neighbors’ trailer shafts and pig pens. In 1982, Jukka participated in the shipyard’s welding course where his career at Meyer started. Today, Jukka is in charge of welding guidance and welding tests as well as supervision of subcontractor competencies at Meyer Turku Shipyard where up to 400 people weld on a regular basis. Over the course of 20 years, Pasi Laakso has worked as a welder in four different places – practically half his life. Pasi is planning to get IWS training while Jukka has already completed it. 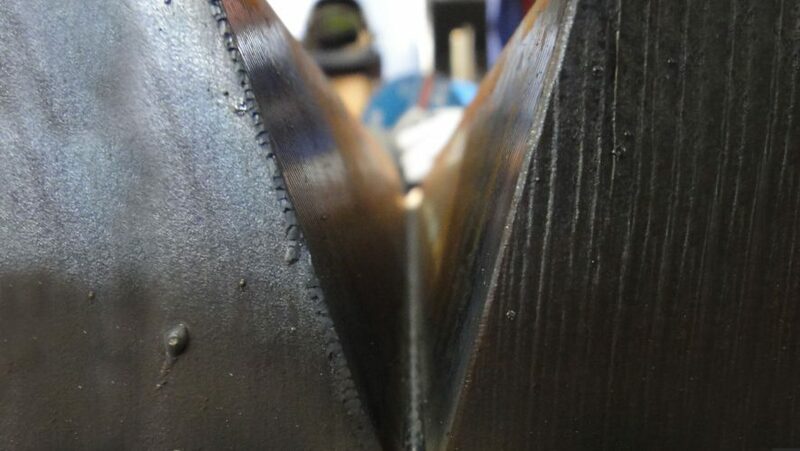 The welding environment affects the demands of usability substantially. 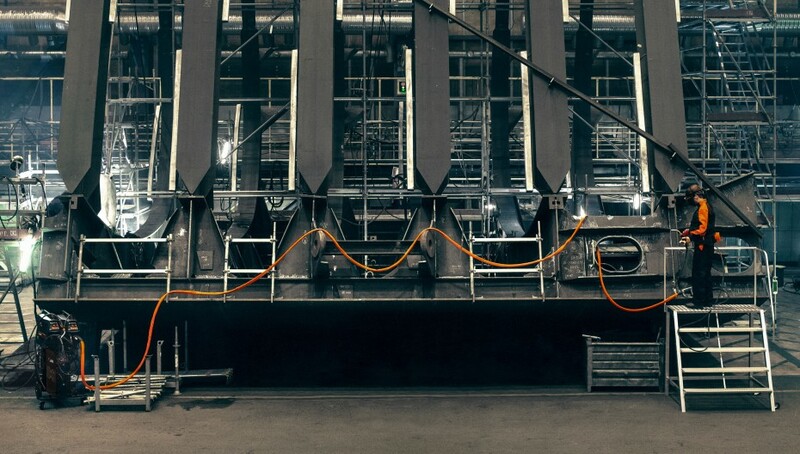 Pasi Laakso welds the frames of towable personnel hoists weighing 400–500 kg that often have short seams. “User-friendly welding equipment makes it easy to adjust power, and welding arcs and parameters are already set. All the equipment’s settings can be handled with a single button, and memory channels, for instance, are cleverly used in the automation of settings as seams change,” Pasi says. The ease of use shows directly in the efficiency and quality of production. The portability and water spray resistance of the welding device are emphasized in a shipyard environment. Jukka Hahko comments: “It’s not possible to have any complex synchronized software machines at shipyards. Instead, there is a need for easily portable devices equipped with basic settings. In practice, the round shape of the wire feeder box protects the welder against bumps during moving from one place to another. The controls of the shielding gases should be integrated in the wire feeder box which helps with optimizing the flow of gas when using 20–40-meter long hoses. The more complex the device, the more training pressures the welders will experience.” Portability and simplicity of settings increase efficiency by making the equipment’s transfers to service easier and by speeding up the start of welding. The welding torch is also closely linked with ease of use. With an easily rotatable and light torch, it is possible to achieve more neatly welded pieces and longer seams. 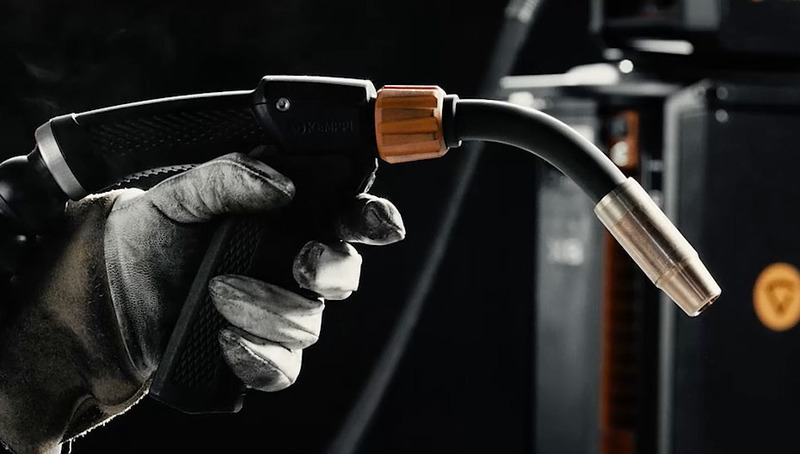 Heat-resistant surface material and the versatility of torches directly affect productivity. Both Jukka and Pasi think modern welding equipment is quite good in terms of usability. “Perhaps development needs are more focused on the work environment. If manufacturers find new ways to decrease the equipment’ need for maintenance or to make the power sources smaller, I’d be interested,” Jukka concludes. 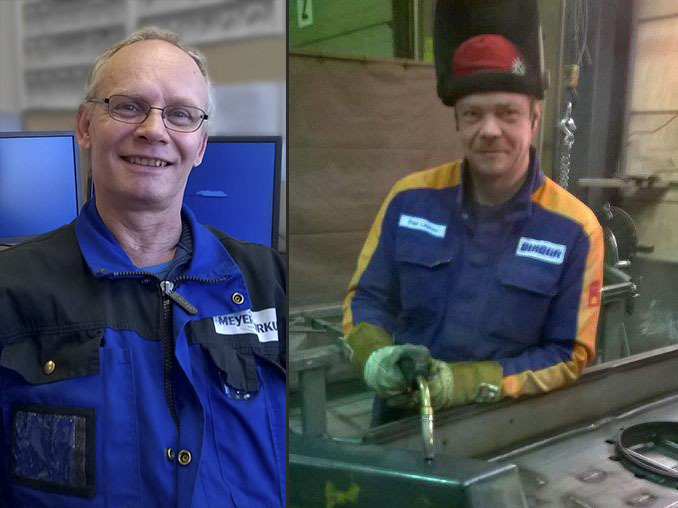 Jukka Hahko (left) manages up to 400 people, who weld on a regular basis, at Meyer Turku Shipyard. Dinolift’s Pasi Laakso (right) has 20 years of experience as a welder and plans to take on IWS training. We in BHEL, is using a good number of Kempi make Manual welding machines. We are in need of a suggested preventive maintenance program for KEMPI make manual welding machines. Kindly forward a soft copy of the same for our use. ll the contents you mentioned in post are too good and can be very useful. I will keep it in mind, thanks for sharing the information keep updating, looking forward for more posts.